“PixScan™ technology allows you to cut precisely around any printed image or position cut lines in a specific location on your material using a camera or scanner.”The PixScan™ feature cuts according to an image’s actual size, whether it be to provide a contour cut around the image, to nest images into an oddly shaped material precisely, or to replicate a pattern at its original size. 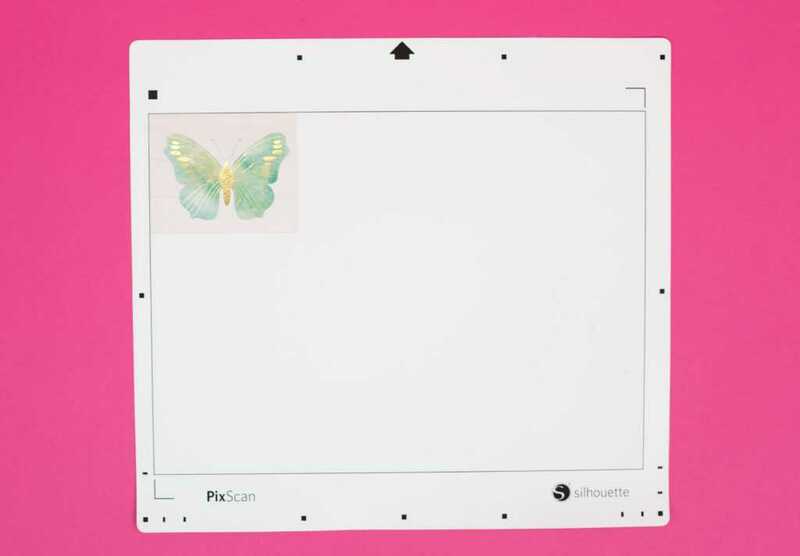 The PixScan™ mat comes with its own registration marks, which allows it to use the Silhouette’s optical scanner to find the right place to cut. 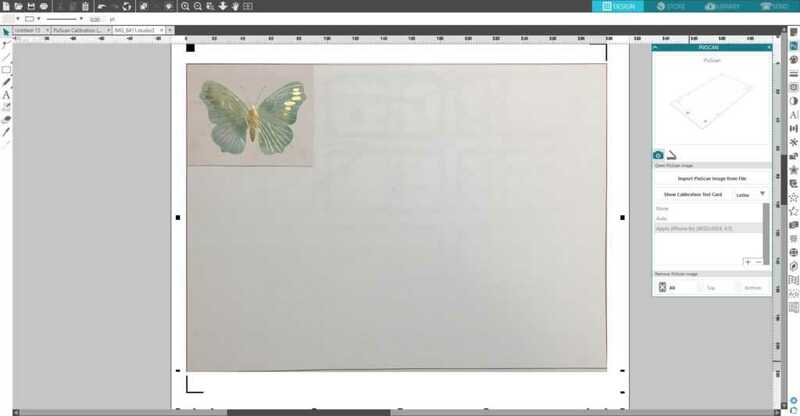 Any material placed on the mat can be imported into Silhouette Studio® via scanner or camera, and then have cut lines assigned through tracing, drawing tools, or opening designs. You need the correct size of PixScan™ mat for each machine (CAMEO, Portrait, or Curio). It has a variety of uses to add to the “toolbox” of each Silhouette machine. Today we’re going to show you just how easy it is to make any custom cut you want. 1. Place the photo or image you want to cut out on your PixScan™ mat. Press down so that your image is stuck securely to the mat. 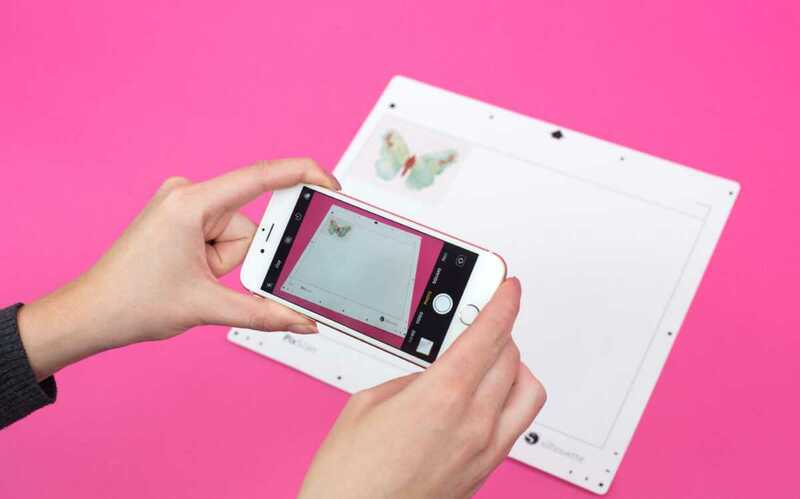 Take a picture using your smartphone or scan in your PixScan™ mat. For optimal results, when photographing or scanning the PixScan™ mat, ensure that no zoom is used, your lighting is even, the entire mat is clearly visible in the image, the PixScan™ mat is flat, and the cut media is contained within the black cut border. Tip: If you see a message that says you need a calibration profile, click “Show Calibration Test Card,” choose your printer size, and print the page. 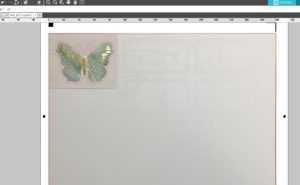 Take a picture of the printed calibration page from a bird’s-eye view and ensure that the calibration dots fill the entire image. Do not put the page onto the PixScan™ mat. The image should include only the dots. Save your image to your computer. Click the plus (+) icon under the Camera Calibration section of the PixScan™ panel. A window will pop up. Select your calibration image and click “Open.” After that, PixScan™ is calibrated for your camera. You only have to do this once per camera. 3. Once you have your PixScan™ image loaded, you are ready to create or place your cut lines. Trace your image or manually add cut lines where you want your machine to cut. Delete any excess cut lines that you do not need. You also can add an offset line to your design. 4. Choose your cut settings according to the material on your mat. 5. 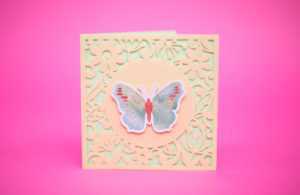 Send your project to your Silhouette machine and watch the magic happen. And that’s it! It’s super easy to cut whatever you want with the PixScan™ feature. Use it to cut photos, drawings, cardstock, or whatever else you can think of! Dos it not need the calibration page (the one with a lot of dots) firtsd anymore? Where can I get a copy of the calibration test page? It didn’t come with the PixScan mat, and there aren’t any links or PDF’s that can be downloaded — It simply seems to be assumed that you should already have one – ?! Click “Show Calibration Test Card” tab on the PixScan panel of the Silhouette Studio and Test Card will appear on the working space. 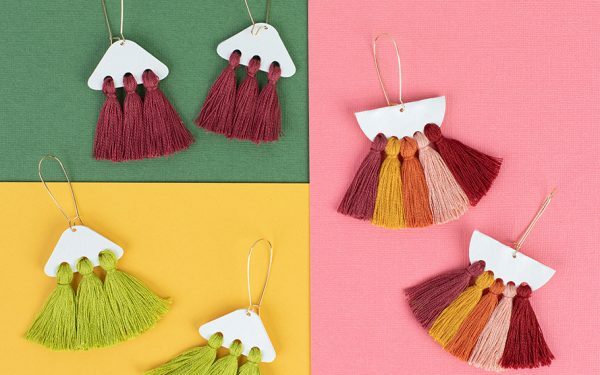 is there a download that i can use to print it. Since i don’t have a printer at home and the computer i use to print doesn’t have the program on it. You only need to print the calibration page if your photo is not automatically recognized when imported to the PixScan Panel. If you do need to print it, please reach out to the Silhouette Support Team to see if they can help you at support@silhouetteamerica.com. 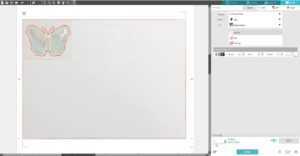 I made the calibration, but it said that image can’t be match with camera and didn’t let me choose the cutting area. What should I do with this? Please contact the support team via the chat at silhouetteamerica.com or email them at support@silhouetteamerica.com, and they can help you through it.